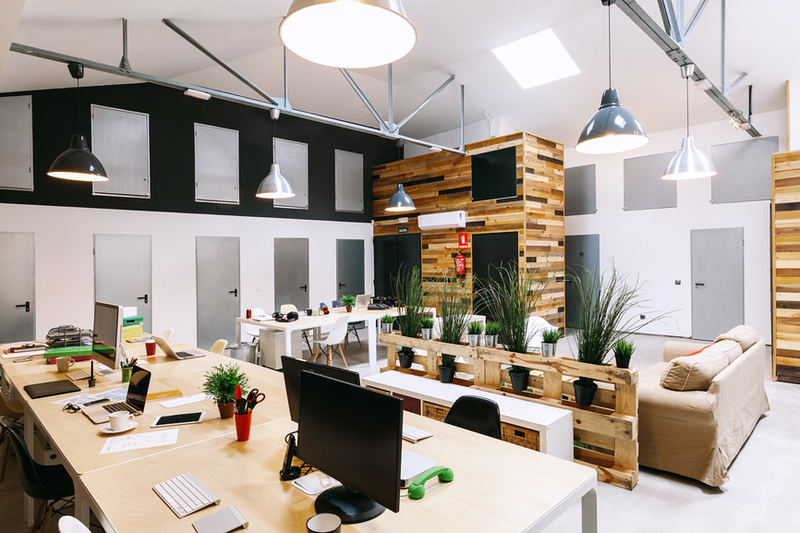 If you’re interested in transforming your office space from drab to fab, simply continue reading to discover 5 innovative office decor ideas, which are sure to turn heads. For a clean, professional look opt for a minimalist theme which boasts natural wood floors, white furniture, and a comfortable white leather chair. If your office boasts room form extra chairs, you may want to place two clear, perspex chairs in your office, for your visitors. To decorate your minimalist themed office, simple place a bonsai plant on one of your desks, tables or filing cabinets and place a statement piece of art in a black frame on your wall. If you need inspiration choosing art, you can’t go wrong with an eye-catching black and white photograph. To style a retro-themed office, opt for a traditional dark brown wooden desk and a dark brown leather chair. If your office boasts plenty of space you may want to place a sofa and a dark brown coffee table in your office, which you can use for more casual, informal business meetings. To decorate your Mad Men inspired office, fill a bookshelf with your favorite business related books and place two matching floor lamps, on either side of your sofa. Lastly, invest in an abstract piece of art to serve as the centerpiece of your office. Just ensure not to pick a sculpture which could offend your clients. To decorate a classroom inspired office, paint a single wall with blackboard paint, which will allow you to brainstorm your ideas visually. You can even install a wall of vertical lockers, which can be used as handy storage space for your files. To decorate your office, simply place a few carefully chosen items such as a world map, a globe and an old-school clock around your office. If your business is pretty casual, you may even get away with placing a bean bag or two in your office. To give the illusion that your office is located in a converted warehouse, create a brick wall as the focus of your office. To brighten up your office, place an eye-catching rug, underneath your lightwood work desk. It’s also worth investing in hanging office lights, which will immediately illuminate your office. If you frequently work with other individuals, you may want to place a high table and a couple of funky stools, in your warehouse inspired office space. If you have your heart set on creating an office space, which is teeming with life, you may want to consider purchasing a living wall of grass. Which will instantly grab your guests’ attention. To give the illusion of working outdoors it’s also worth purchasing a green shaggy rug, which looks like grass and to place a few wooden recliners around your office. So if you’re determined to transform your office space from drab to fab, it’s well worth picking one of the innovative decor themes listed above! Previous Post: « What is a Local Market Launch?